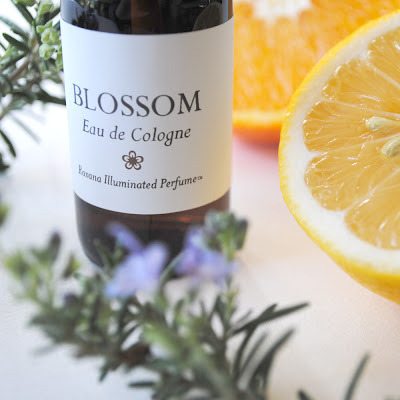 Blossom, the Eau de Cologne crafted in the style of a traditional cologne, is reviewed by Tom over at Perfume Smellin' Things. I suspect that this items popularity lies in the citrus components. Essences derived from the fruits and flowers of the citrus family are very fresh and uplifting. Please pay dear Tom a visit over at the Perfume Smellin' Things blog. If you happen to have a bottle of Blossom handy, your scent impressions would be a great addition to the commentary. Blossom is currently available in its second edition, exclusively at my little boutique at Etsy, in a small spray bottle and a 1oz amber bottle size. Supplies are limited. Read more about the crafting of this traditional Eau de Cologne here at the journal by following this link.